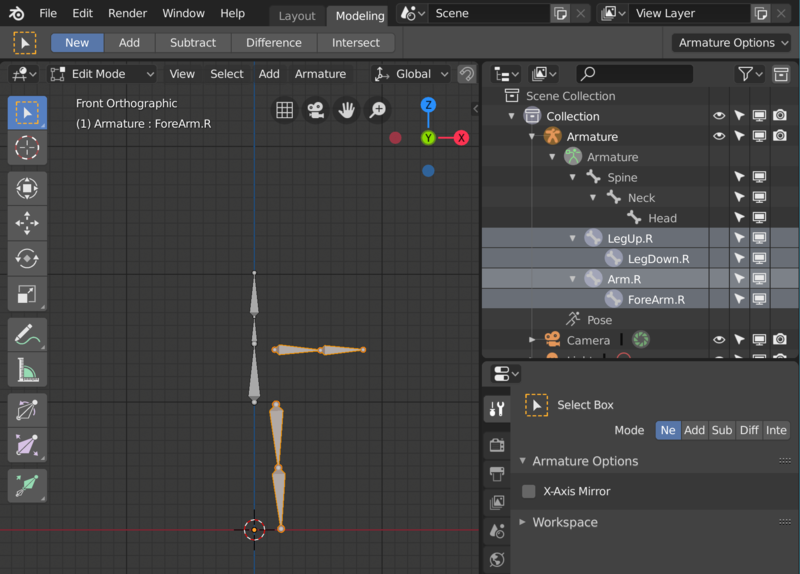 Blender 2.8: mirror leg and arm bones? I have named my leg and arm bones with *.R. How to mirror them to the left side (with naming *.L)? Just select all your bones in Edit Mode then Right Click > Symetrize. Not the answer you're looking for? Browse other questions tagged armature bones or ask your own question. 2 bones, 3 leg pieces. Middle piece is deforming. Why? How do I create bones that can properly control a robot leg? How to setup IK Arms with upper and lower arm twist bones?